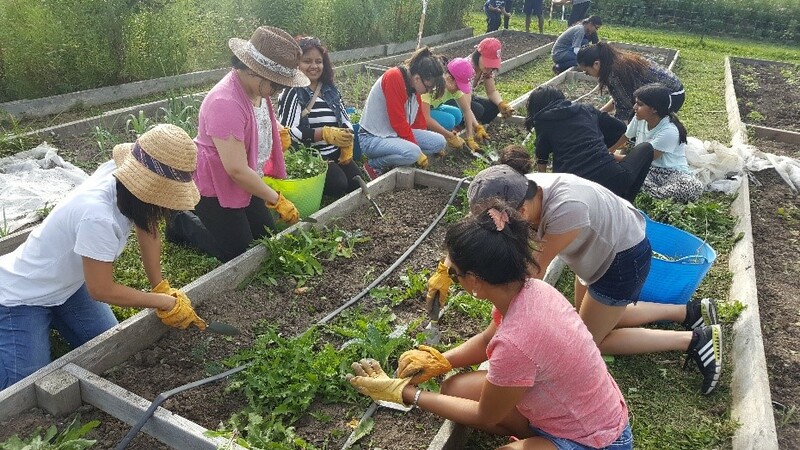 The Community Roots project encouraged individuals in Peel to support a healthy and sustainable environment through urban agriculture, youth leadership in social enterprise, education and neighbourhood action projects. These initiatives allowed residents to connect with the environment, understand their impact, and take action to improve the health and food security of their communities. Through the project, we grew organic food and provided food system education and skills training at our Iceland Teaching Garden. The food we grew was donated to local food banks including Eden Food For Change, Seva Food Bank, and Peel Aboriginal Network, and sold through our #GrownInMississauga social enterprise. All proceeds from produce sales helped support community programs. The Community Roots program was generously supported by the Ontario Trillium Foundation.